Connect to different teams of multiple people across the globe on a single screen with the conference call. 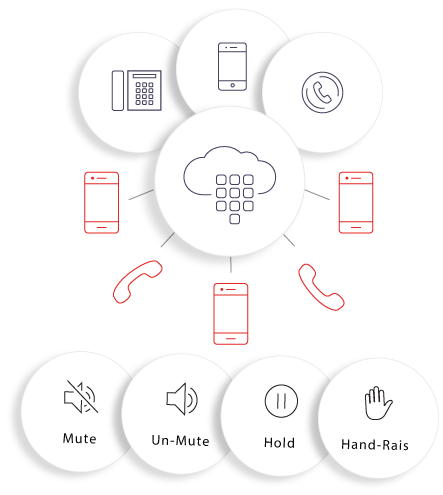 Office24by7’s powerful Smart Conference facility allows to connect to more than three people at a time with unlimited scalability. Resolve communication issues, complete sales negotiations easily irrespective of the participants’ location. A powerful video, audio and messaging integrated conference call software gives you the real-time meeting experience. Inbound call facility of conference call service allows to make calls without disclosing your number. When a call lands from several participants on Virtual Number, a call gets patched into the conference as decided. To ensure safety at highest level, PIN configuration is considered from DTMF input. 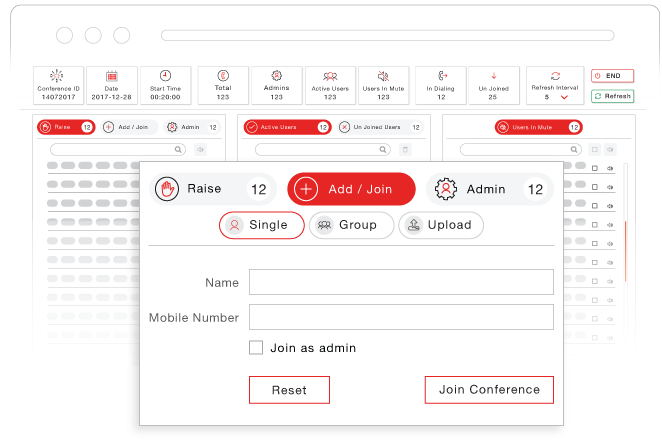 The smart conference tool, with a customizable dashboard, allows managers to regulate the conference and participants with the options of mute, un-mute, hold and hand-raising in the panel. 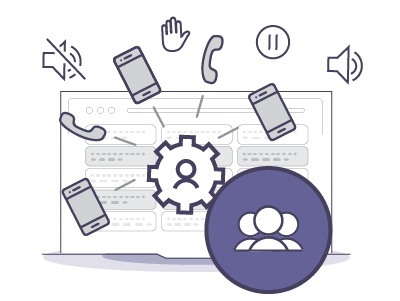 Inbound Conference Call facility is provided on Cloud as well as On-premises. Select to host an outbound conference call for large number of participants and avoid any delay in connecting. Conference call dialer initiates from the dashboard to pre-determined participants by selecting the numbers. Call can be initiated either from a single or different pilot numbers. Once connected, you enter in the conference. Re-try option is enabled in the dashboard for the participants to connect again if they miss a call. Pass-code configuration is commonly incorporated taking security reasons into purview if needed.